Live the life in this astounding bi-level Penthouse residence at the Ellington. Pristine 2 bedroom, 2.5 bath with gorgeous Western views from every sun-soaked room. The Main Living Floor offers an impressive kitchen and expansive living and dinning area. The Bedroom floor has two full bedroom suites including a huge master with excellent walk-in closets and overall excellent storage and an awesome granite and marble master bath. The Master even has ample space for a home office or sitting area. Washer and Dryer in unit. Storage units also available for $30 a month. Pet Friendly building where location is key, centered in the middle of all Center City has to offer. Fabulous social life and easy to walk to work. Located across from the exciting new W and Element Hotels opening soon, Del Friscos Steak house, Ritz Carlton and many award winning restaurants. Fabulous Chestnut Street with great shopping, including shops at Liberty Place, Uniqlo, Nordstrom Rack and Bloomingdales Outlet. 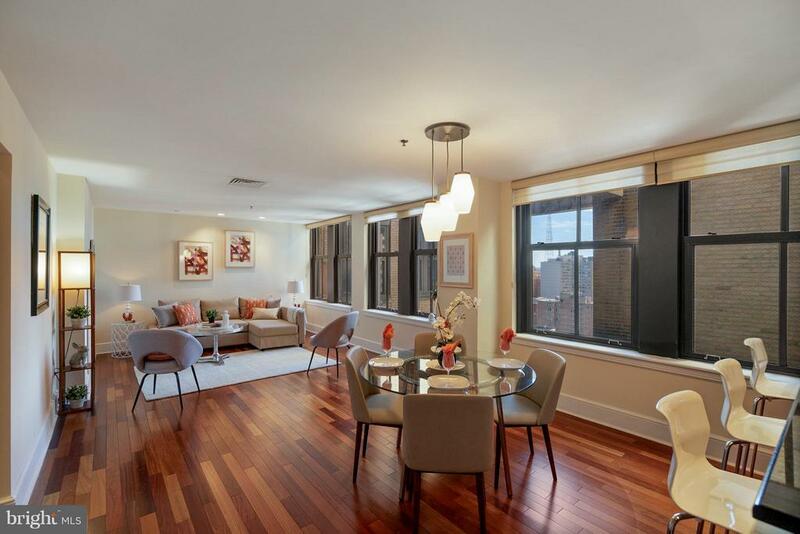 Blocks from City Hall, Comcast Centers, Suburban station and the Broad-Street line. Just a wonderful condominium in a most convenient location (100 WalkScore, 100 TransitScore). Inclusions: Washer, Dryer, Dishwasher, Fridge.